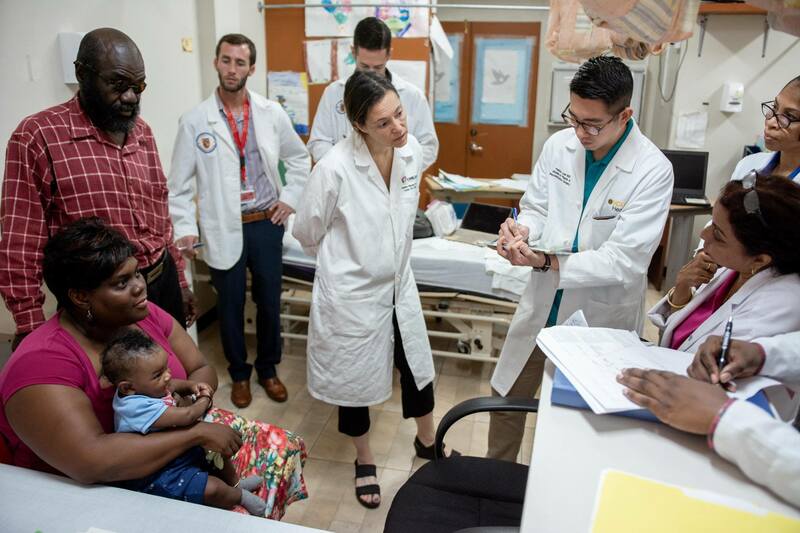 Last month, the World Pediatric Project returned to St. Vincent to provide cardiology services to the Eastern Caribbean pediatric patient population. As is always the case, Trinity students were with them, lending a hand and gaining invaluable experience. 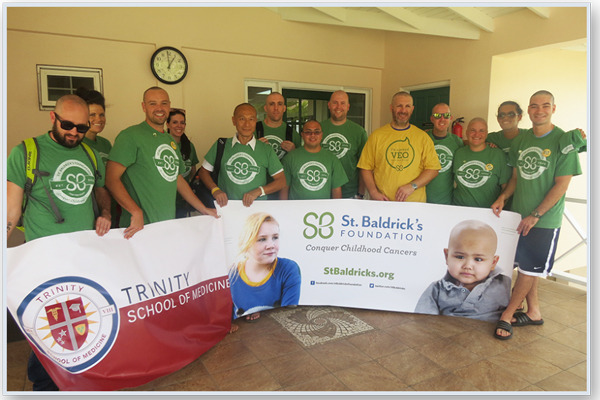 Earlier this month, Kid Companions visited their young friends at the St. Benedict Children's Home on St. Vincent. Each trip has a theme, with carnivals, arts and crafts, and field day games being popular choices among students and residents alike. Today's introduced a new and exciting variable for the kids: a well stocked and adaptability-inclusive water balloon fight. For the past decade and a half, The World Pediatric Project (WPP), has been conducting general and specialized surgical missions to St. Vincent. For the very first time, there was a visit explicitly to perform craniofacial procedures for Eastern Caribbean pediatric patients in need. The new team was lead by pediatric plastic and craniofacial surgeon Dr. Jennifer Rhodes of the Children's Hospital of Richmond at VCU. She was supported by anesthesiologist Dr. Seamus Dore, plastic surgeon Dr. Franklin Lew, and OR nurse Molly McCabe. The team’s focus was to evaluate and provide care for children with complex head and facial anomalies, and to follow up cases of children seen by previous surgical teams. Joining them in triage, prep, OR, and recovery, were Trinity 5th term students. 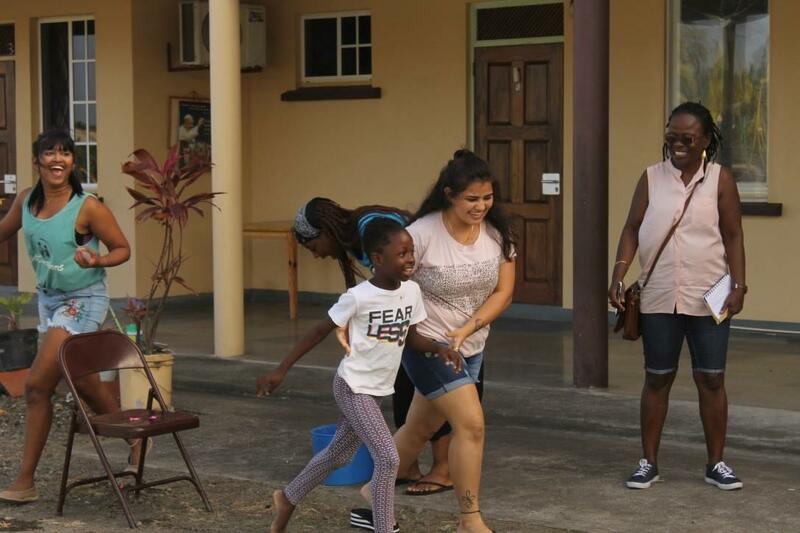 Earlier this month, the World Pediatric Project (WPP) held its first mission for 2019 in St. Vincent and the Grenadines. 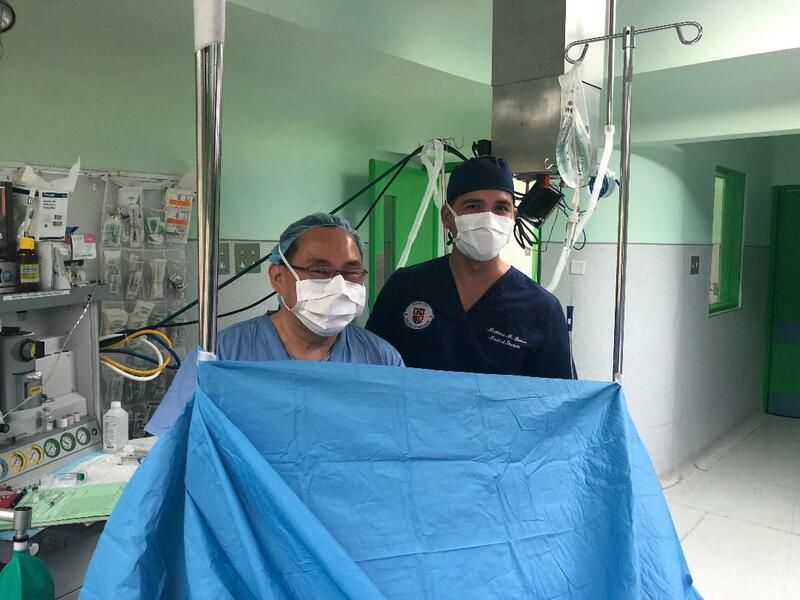 Its focus was on general pediatric surgery with Dr. Jeffrey Lukish, pediatric surgeon from Children’s National Hospital in Washington DC as team leader. For the unaware, the WPP offers surgical and diagnostic care to children in the Eastern Caribbean and has been actively working in St. Vincent and the Grenadines since 2002. 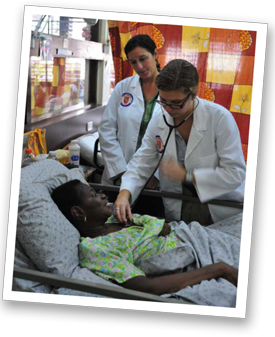 Trinity School of Medicine students are frequently in the mix with them in a volunteer/learning capacity. This mission was no different, with Trinity students taking part, re-dedicating the school to clinical education and community service. The busy visit was a productive one. On consultation day alone, forty-one local children, and an additional fifteen from neighboring islands, were seen by Trinity students and the visiting team of surgeons. Mid-summer is Carnival season in St. Vincent & the Grenadines, and at this time of year, the streets are packed with visitors and locals enjoying the cultural experience that is "Vincymas." 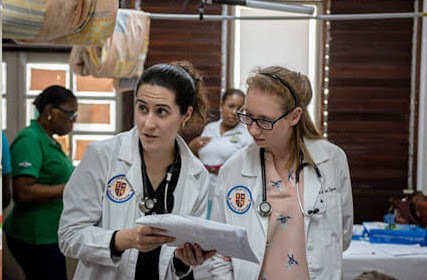 Against this backdrop, Trinity's American Medical Students Association (AMSA) chapter held a series of clinics in the Vincentian capital city of Kingstown. The clinics provided health checks and continued the ongoing national project of addressing the two primary chronic health concerns in St. Vincent: hypertension and diabetes. Read on for student insights, local comments, and a gallery of our students in action in this vibrant time! 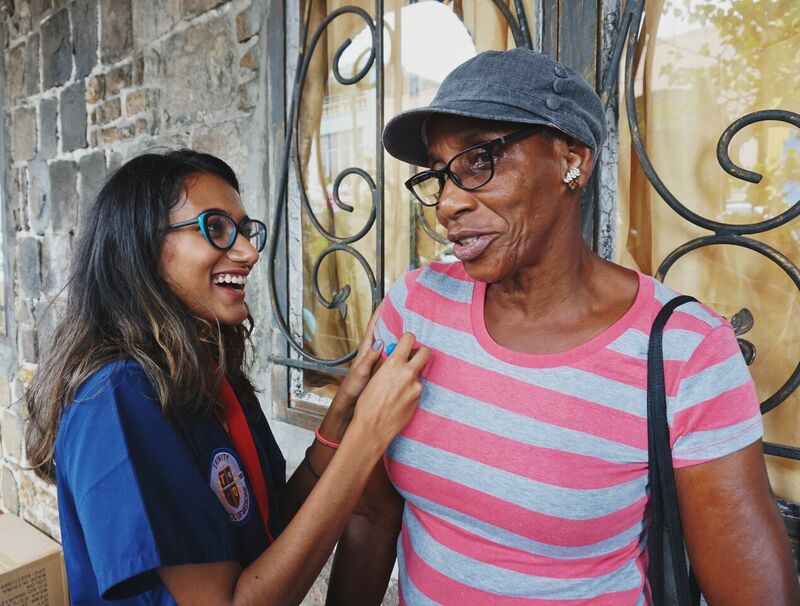 In mid-November, Trinity School of Medicine collaborated with the Rotary Club of St. Vincent and the Grenadines in hosting their Annual Village Doctor community outreach. On this occasion, vehicles carrying personnel, equipment, and medicines rolled into the interior community of South Rivers, where the entire entourage convened at the South Rivers Primary School to conduct their consultations. Patients journeyed from areas within South Rivers and from neighboring communities to avail themselves of the opportunity to be seen by a healthcare professional. Services were provided in the areas of: Gynecology, Pediatrics, General Surgery, Ear Nose and Throat, Dental, Ophthalmology and General Medicine. There was also a Pharmacy set up with a number of practicing pharmacists. Medical professionals from Trinity School of Medicine forming part of the healthcare team were Dr. Andreas Reymann – Associate Dean of Academic Affairs and Evaluation, who acted as liaison between the patients directed to particular specialists and the doctors doing the consultations; Dr. Conrad Nedd – Assistant Professor of Clinical Medicine and Clinical Preceptor; Dr. Frances Jack – Associate Dean of Students; and Dr. Jamil Ibrahim – Assistant Professor in Clinical Medicine; who served as General Practitioners; and Dr. Sotto – Assistant Professor of Clinical Medicine and Chief Proctor, as Pediatrician. The Triage Area was manned by a team of Trinity's fifth term students who conducted the initial consultation on all of the incoming patients. "It was crazy busy! I think we helped 234 people. In a mere 2.5 hours, ten students got basic histories, took vitals and assigned patients to a particular doctor. Once we finished assigning the patients I went to the 'general/internal medicine' and watched the doctors. It was fascinating to see how quickly they could make a diagnosis and with so little information: just vitals and chief complaint. No labs, no ultrasound, echo; we only ran 1 or 2 ECGs! It's a very different world. It was nice to see that quite a few of the medications the Village Doctors had were helpful for the patients, so they could actually receive treatment. It was also interesting talking to the patients; most had hypertension, about half of which were unaware. Those who were took medication only as needed. Some people had eye or ear problems for years and this was the first time they were seeking any medical attention. All in all you really did have to be there to fully understand; but every patient was attended to and treated with care and respect. It was truly incredible." Trinity School of Medicine has been partnering with the Rotary Club of St. Vincent in its Village Doctor exercises for a number of years. This community outreach project is a flagship program of the organization, which travels to villages in need, and offers free medical attention and medicines for one day. Dr. Nedd explained that the collaboration is such that Trinity tries to participate in an exercise at least once per term. There were approximately 300 patients who visited the Village Doctor site and close to 400 consultations were performed as many patients were able to see more than one specialist. This project has assisted thousands throughout the Island from the far North Windward community of Fancy, to Spring Village on the other North Leeward end; and the Grenadine Islands of Bequia, Canouan, and Mayreau. Following the December 2013 devastating floods in St. Vincent and the Grenadines, when several persons lost their lives and many communities suffered infrastructural damage and loss of belongings, the Rotary Village Doctor assisted in the rebuilding exercise, and in providing the medical assistance needed. 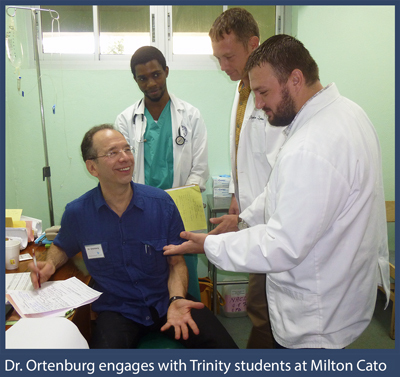 News on the Students, Faculty and Achievements of Trinity School of Medicine. 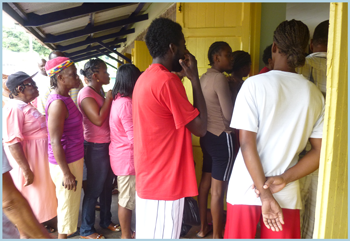 If one wanted to observe the epitome of altruism they need only to pay a visit to any one of the World Pediatric Project Clinics held at the Milton Cato Memorial Hospital in Kingstown, St. Vincent and the Grenadines.